Davos is the annual opportunity for world leaders to talk about the future. This year, the theme was Globalization 4.0: shaping a new architecture in the age of the fourth industrial revolution. Mission Innovation brought its valuable experience to the debate on the challenges created by the innovation-driven economy and the unprecedented pace of technological transformation. Turning those challenges into opportunities can in fact radically change the energy system, address climate change and contribute to a more fair, sustainable and liveable planet for all. 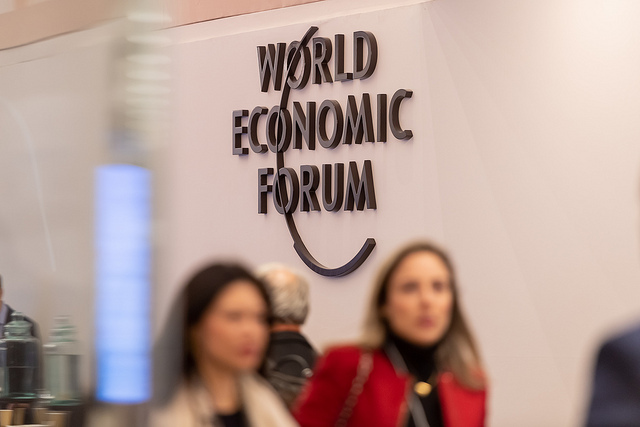 At the 49th World Economic Forum Annual meeting in Davos in January 2019, Mission Innovation continued exploring the potential of the World Economic Forum’s Bold Ideas to accelerate sustainable energy innovation. Representatives from companies, Governments and non-governmental organizations shared their experience on effective ways to fund and foster energy innovation and in particular explored the possibility to establish a coalition for an international Sustainable Energy Innovation Fund. One of the developments emerging from the Forum’s Bold Ideas is the signature of a Memorandum of Understanding in October 2018 between the European Commission and the Bill Gates-led Breakthrough Energy. Together, they committed to create a 100€M joint investment fund that will help innovative European companies develop and bring to market radically new clean energy technologies. The session Building the fast track for a green hydrogen economy was specifically focused on a promising technology, key to delivering deep carbon emissions cuts, limiting global warming and meeting increasing energy demand. As agreed by Hydrogen Council CEOs and already recognized by some key governments, international public-private collaboration crossing traditional industry borders is needed to deploy clean hydrogen at large scale while identifying and synchronizing policies and financing efforts. This session, attended by Simon Birmingham, Minister for Trade, Tourism and Investment of Australia, highlighted existing collaborative efforts and explored how to build the fast track for a green hydrogen economy including possibly forming a Global Public Private Hydrogen Alliance. By launching a new Innovation Challenge on Renewable and Clean Hydrogen at MI-3, Mission Innovation recognised the importance of this technology and committed to support and accelerate its development and deployment. The Energy Stewardship Board, attended by Greg Clark, Secretary of State for Business, Energy and Industrial Strategy of the United Kingdom, discussed how to “tip the scales of global energy transition” towards more successful results in tackling climate change while delivering on new energy demand and opportunities driven by the Fourth Industrial Revolution. The outcomes will define the direction of the Forum’s System Initiative on Shaping the Future of Energy in the year to come and highlight collaborations that could benefit from the Forum’s platform.